I spoke to one of my favorite people, Bonnie Terbush, Friday afternoon. Bonnie is the Administrator of a Facebook Group called ThePeakPosse. 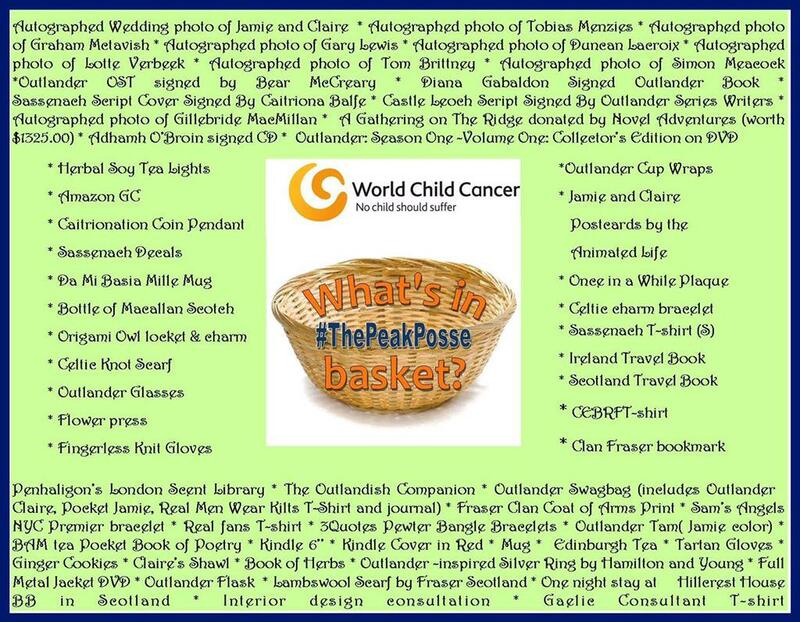 During the course of actor Sam Heughan’s My Peak Challenge, ThePeakPosse decided to raise funds for Leukaemia and Lymphoma Research by raffling an Outlander inspired Gift Basket. The Gift Basket consisted of over 60 donations, including autographed items. Within five weeks, the raffle raised in excess of $25,000.00 US Dollars. Their second raffle for World Child Cancer, Caitriona Balfe’s charity, raised over $17, 400.00 US Dollars. 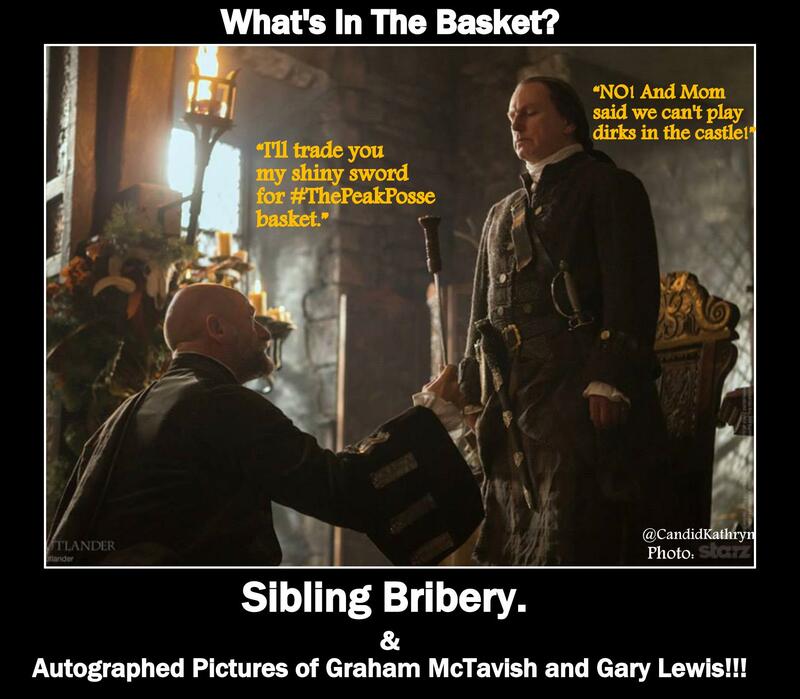 Please see my blog post, “What’s in the Peak Posse Basket? Love, Generosity, Creativity, and Hope”, to read more about the previous raffles. 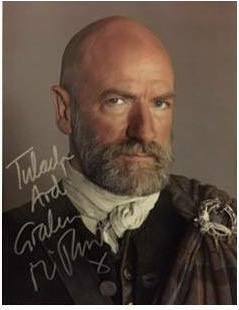 As we talked, Bonnie shared the story of the first time she met Graham McTavish at a L.I. Geek event in May. 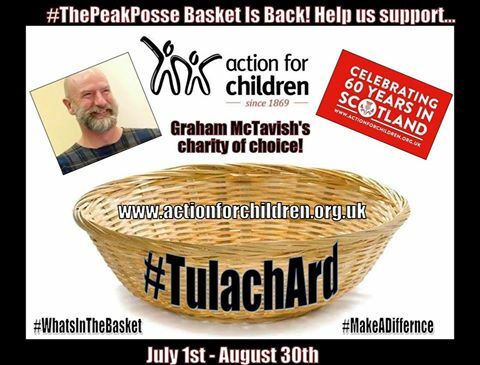 Bonnie told Graham that he was the first actor to donate to the first basket raffle, and she continued, “We would like to raise funds for your charity that you support.” ThePeakPosse is now focusing fundraising efforts to raise money for Action for Children, Graham’s chosen charity. Bonnie says, “This is the first time anyone has ever raised funds for a charitable organization on behalf of Graham McTavish.” Action for Children works in the UK in local communities to protect and support the young and vulnerable, as they grow up. They believe in taking action early to fix problems before a child is overwhelmed by them, and they help children at different stages of their lives. Action for Children runs over 650 services, from children’s centers to intensive family support, from fostering and adoption to respite care for the disabled. For more information about Action for Children, go to their website at www.actionforchildren.org.uk. You can follow them on Twitter @actnforchildren. 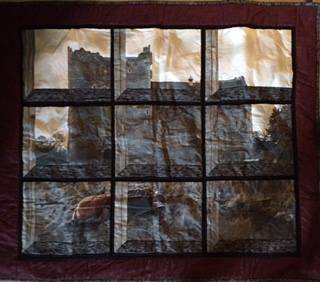 The current Gift Basket raffle runs from July 1, 2015 through August 30, 2015 at 8:30pm ET. The winner will be chosen at 8:30 pm ET and promptly announced. 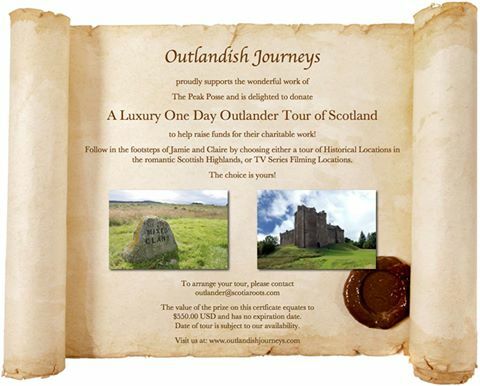 In addition to many fantastic goodies, the basket includes autographed items, a navy blue Bear Strength Clothing Co. hoodie donated by one of ThePeakPosse members, an Outlander Quilt, and a luxury one day tour of Scotland donated by Outlandish Journeys. To enter the Gift Basket raffle, just follow this two-step process. Donate to Action for Children, interested parties may donate to the following site: https://www.justgiving.com/ThePeakPosseActionForChildren/. Donations to “ThePeakPosse Just Giving page in support of Action for Children” are being generously matched by Macquarie, the employer of Heather Lee Ying, a member of ThePeakPosse. In order for the match to occur, the following statement must be included within the donation message “In support of the fund-raising efforts, ThePeakPosse/Heather L.Y. As a Thank You, donors may enter to win the Gift Basket raffle in support of Action for Children at https://www.rafflecopter.com/rafl/display/7c3e22083/. Donate a minimum of $10.00 to https://www.justgiving.com/ThePeakPosseActionForChildren/. 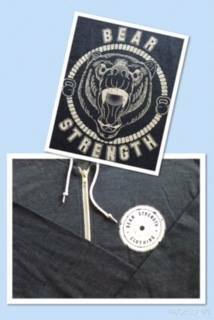 In the donation description include your Twitter name, #TenDollarTuesday and your best guess (number) and the matching statement “In support of the fund-raising efforts, ThePeakPosse/Heather L.Y. Guess a number from 1-200. 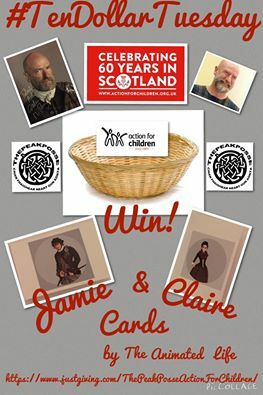 The numbers closest to the winning number on either side, will win a set of Jamie and Claire note cards by The Animated Life (they’re in the Gift Basket). You can follow ThePeakPosse on Twitter @ThePeakPosse. Additionally, individuals are invited to ‘Like’ the Outlander-ThePeakPosse Fundraiser page on Facebook in order to follow their fundraising endeavors, https://t.co/urR4OfjHvb. You can follow Bonnie on Twitter @BonnieTerbush. I thoroughly enjoyed talking to Bonnie last week. She is an inspiration to me. As a Thank You, donors may enter to win the Gift Basket raffle in support of World Child Cancer at https://www.rafflecopter.com/rafl/display/7c3e22082/? Donate a minimum of $10.00 to https://www.justgiving.com/cmbthepeakposse/. Additionally, individuals are invited to ‘Like’ the Outlander-The Peak Posse Fundraiser page on Facebook in order to follow our fundraising endeavors, https://t.co/urR4OfjHvb. For more information about World Child Cancer, go to their website at www.worldchildcancer.org. You can follow them on Twitter @WChildCancer. In my research, I found this moving World Child Cancer video on YouTube, https://www.youtube.com/watch?v=JdIZD8oS0BM. I thoroughly enjoyed speaking with Bonnie last week. One thought especially has stayed with me. She said, “The opportunities I’ve had since I created this Facebook group are incredible…because of one book series and television show. I’m awestruck by people’s generosity. The support is overwhelming.” I couldn’t agree with her more! Sparkle on, Bonnie!